"If the iPad was able to faithfully replicate what it's like to use Photoshop on my Mac with a Cintiq, then I would most likely use the iPad much more than my [Wacom] Cintiq Companion," visual development artist Lizzie Nichols said in a Macworld interview. Nichols has worked on a number of prominent projects in movies and TV, such as "Futurama" and most recently "Hotel Transylvania 3: Summer Vacation." She does the vast majority of her work on a Mac Pro with the connected Cintiq display, which is aimed at professional artists. "Photoshop is the main way I get all of my artwork done, so the more ways I can access it, the better," she continued. "The ideal thing would be to be able to take Photoshop out into the world with my iPad and be able to work away from my office or home studio, without losing the functionality of Photoshop on my desktop setup." The problem for her is that she wants as much of the software to translate as possible, including keyboard shortcuts. While iPad apps can certainly support Mac-style shortcuts, developers have sometimes been slow to add them, treating them as a low priority. Nichols said that until now, she's seen the iPad Pro as a "fancy toy with some potentially fun painting apps on it, with which I could maybe get some digital plein air painting done." There are various Photoshop-branded apps on the iPad, but none of them are anywhere near as powerful as Photoshop for Mac or Windows. Other people in the artistic world at communities like Fstoppers have complained that even the 12.9-inch iPad Pro may simply be too small for editing, given that professionals are used to working on larger monitors and tablets in many cases. There's also the concern that Adobe will charge too much, presumably tying the upcoming app to an expensive Creative Cloud subscription. Many artists are already forced to use Creative Cloud however, and subscription-based work apps are nothing new on the iPad. Microsoft requires an Office 365 subscription to get full functionality out of its Office for iOS suite. There are other hardware issues to consider, according to Nichols. 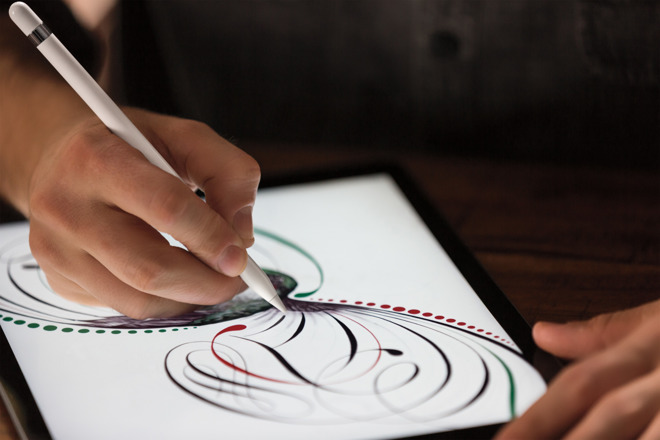 "It would be fantastic if the Apple Pencil had some kind of clickable button on it — like the Wacom stylus — that I could set to whatever function I wanted," she said. "I always have my Wacom stylus buttons set to Option and Right Click. This saves me tons of time on my Cintiq and currently there isn't really a way to do that with the Apple Pencil." She also describes the iPad Pro's glassy surface as minor issue, since her Cintiq has more "tooth" that can make it easier to draw. But she added that it's good that Adobe and Apple are "listening to the people that use their products to make a living," and she's "cautiously optimistic" the two companies will score a victory. Adobe announced plans to bring full-scale Photoshop to the iPad on Friday. More details should emerge at a conference in October, setting the stage for a launch in 2019.